It looks like Samsung is having an extended jinx when it comes to Galaxy smartphones. In the latest case, the Galaxy S7 edge users are reporting a weird issue with their units. Reportedly, many users are complaining about a vertical pink colored line on their phone. No, it is not an isolated case as many users have resorted to various online forums to express their concern. On Samsung’s official forum too, one can see a string of such complaints. 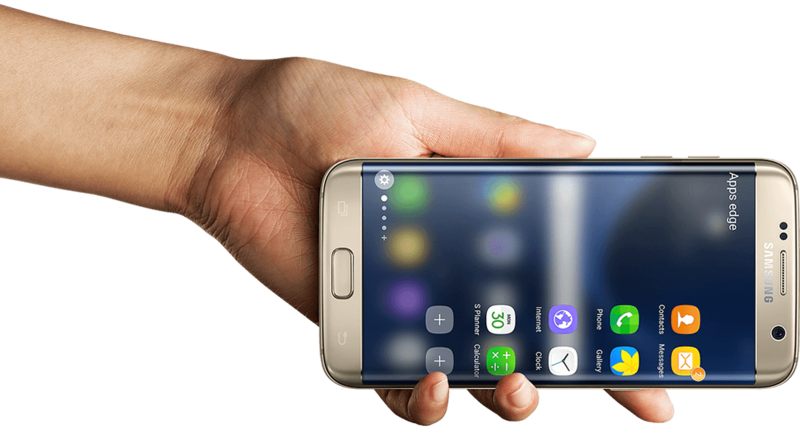 The Korean giant had been having a tough time getting over the Note7 debacle and now when it is gearing up for the Galaxy S8 launch, then such issue could be enough for a divided attention at the company. For now, Samsung has not acknowledged the issue on the S7 edge officially. However, a reply from Samsung employee on the company forum states that the affected unit must first be evaluated. Samsung can very well run checks on the affected units of Galaxy S7 edge, but the owners will have to make do without their phones until the evaluation tests are done. For the S7 edge users who are facing the similar problem, we suggest to hold back and not to send the device for repairs as the company has not officially acknowledged the problem yet. Also, sending for repairs might result in getting charged for the service as it depends on the technician to do the repair under warranty or chargeable memo. Besides, if your unit is already broken or chipped then the folks at the service center might just give you a red card and declare the warranty as void. Many users on the forum have also come up with a series of quick fixes to get rid of the pink line temporarily. Some users suggest that resetting the display in the settings menu could fix it for some time while many assert on dialing *#0*# from the phone and clicking on Red, Green, and Blue from the options. The dialing option resets the individual pixels for the color option that you select. If the pixel reset doesn’t work the first time then you must give it numerous trials. Another way to get rid of the line is to press on the top of the screen lightly; it could make the line disappear for some time. To sum it up, we think Samsung must officially acknowledge the issue soon so that users are not left to their own devises for fixing the problem. By the look of it, the issue seems to be affecting a lot of Galaxy S7 edge units.